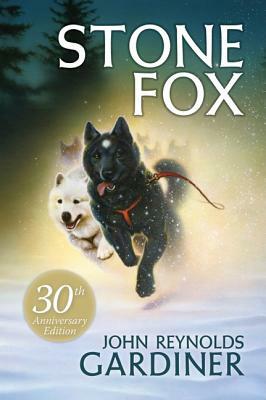 John Reynolds Gardiner's classic action-packed adventure story about a thrilling dogsled race has captivated readers for more than thirty years. Based on a Rocky Mountain legend, Stone Fox tells the story of Little Willy, who lives with his grandfather in Wyoming. When Grandfather falls ill, he is no longer able to work the farm, which is in danger of foreclosure. Little Willy is determined to win the National Dogsled Race—the prize money would save the farm and his grandfather. But he isn't the only one who desperately wants to win. Willy and his brave dog Searchlight must face off against experienced racers, including a Native American man named Stone Fox, who has never lost a race. Exciting and heartwarming, this novel has sold millions of copies and was named a New York Times Outstanding Children's Book. John Reynolds Gardiner (1944–2006), who described himself as an “author, engineer, inventor, rock-and-roll singer, door-to-door salesman, songwriter, and Santa Claus,” traveled widely throughout his life. Born in California, he lived in Ireland, Germany, Italy, El Salvador, England, and Mexico. He heard the legend that inspired Stone Fox while in Idaho and it became his first published work. His other works include How to Live a Life That’s Not Boring.